Tirta Empul Temple (Indonesian: Pura Tirta Empul) is a Hindu temple near the town of Tampaksiring, Bali Island, Indonesia, famous for its holy water where Hindu Bali people go for purification. 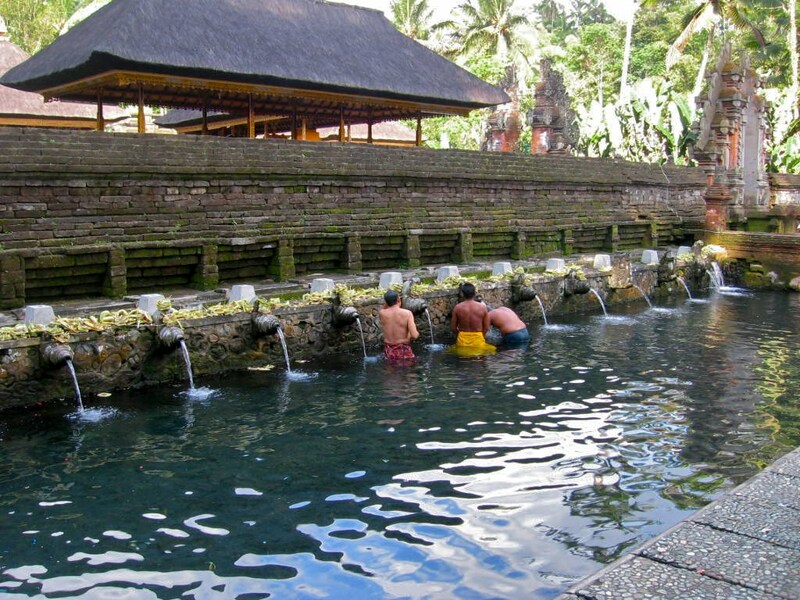 The temple pond has spring which gives out fresh water regularly, which is considered as holy or amritha by local Hindu Bali people. Tirta Empul means Holy Spring in Balinese. The temple is dedicated to Vishnu, a Hindu god. The bubbling water of is the main source of Sungai Pakerisan river.